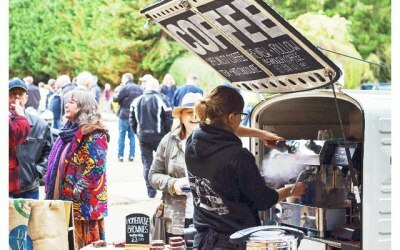 Speciality coffee, tea, hot chocolate & homemade brownies from a mobile coffee 'Tuk Tuk' van around the Cotswolds and Worcestershire. 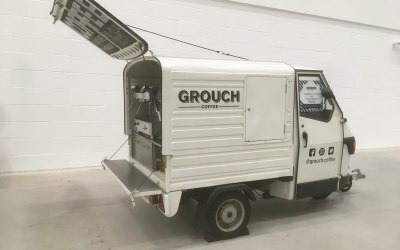 Grouch Coffee is a small mobile Piaggio Ape ‘tuk tuk’ catering van measuring just 3 metres in length and draws attention from its uniqueness and banging brews! We also bake a selection of homemade brownies that will please all - gluten free, dairy free or vegan options. We use Fairtrade Extract Coffee (with the option of decaf too), Yorkshire breakfast tea, Pukka herbal teas and Cadbury's Hot Chocolate. We use only the finest free range organic milk from Cotteswold Dairy and have dairy alternative milk of soy and oat milk. During the summer months we have an iced coffee menu and homemade cloudy lemonade. 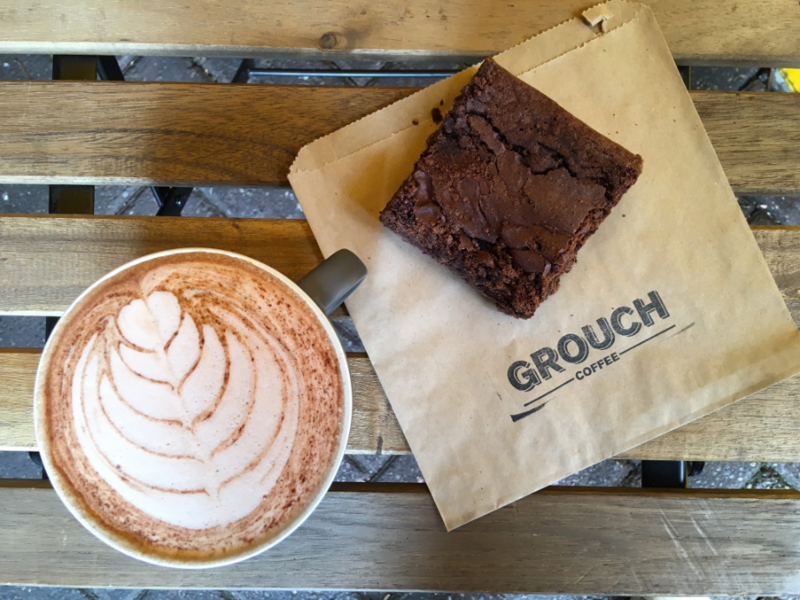 Our homemade brownie offering include our incredibly popular gluten free raspberry and chocolate brownies. 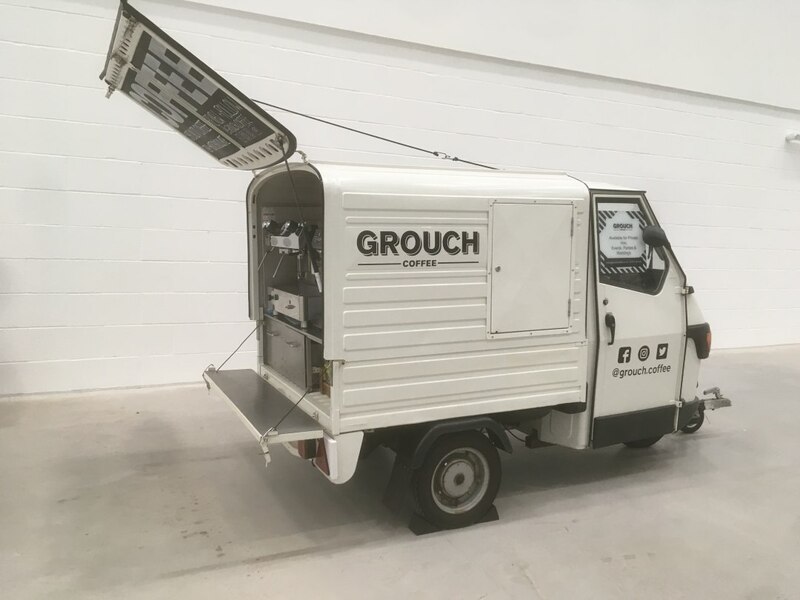 Grouch is completely self sufficient, with no need for mains electricity as we operate off of gas and battery so no noisy generator used either! We work very neatly and are extremely tidy. We wear smart, clean, branded uniform and we provide a high quality product and a professional and courteous service. I am a member of NCASS and have all relevant paperwork including risk assessments, a food hygiene certificate and insurances. 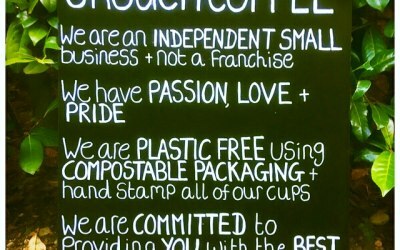 We also have a food hygiene inspection rating of 5 and our takeaway cups are biodegradable, recyclable and plastic free. We provide outstanding service and consistently visually perfect tasting speciality coffees. We have catered for all types of events from corporate meetings to sporting events, motor shows and weddings. 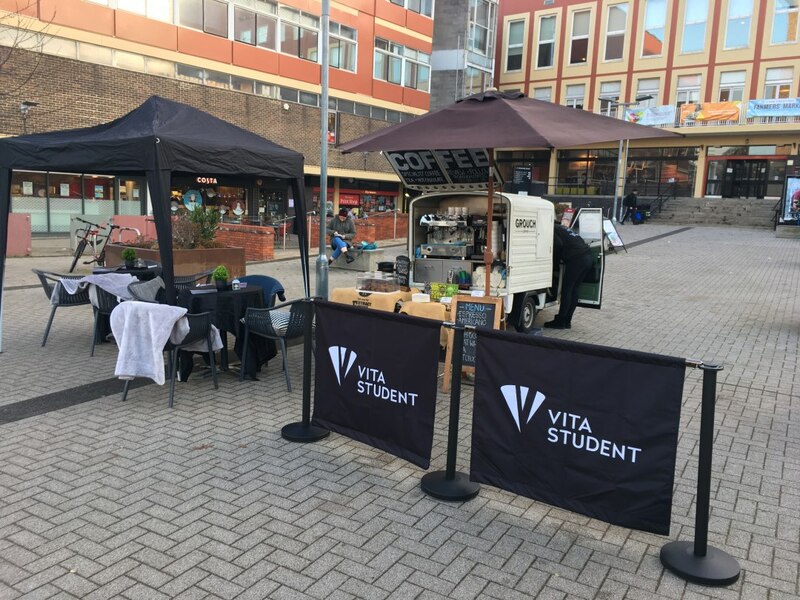 We have experience in dealing with high footfall events and deliver speed and efficiency, never compromising on our customer service or product. Kelly was fantastic! She took time to fully understand the brand and the aim behind the activation. Cooperative and very well spoken to staff and students, which were potential clientele. Kelly's coffee and food were among some of the best I have tasted, the quality and work, along with love and passion comes to life when you see the set up. I really enjoyed working with Kelly and wouldn't hesitate to ask her to support one of our events in the future. Worth every penny, Kelly thank you for making our event, such a success! FANTASTIC Service, Coffee and Brownies were a HIT! Kelly supported our Charity event at really short notice and certainly delivered on service. The coffee and brownies were a hit throughout the day!! Kelly welcomed all our guests with lots of energy and supported with delivering the excitement for the event. 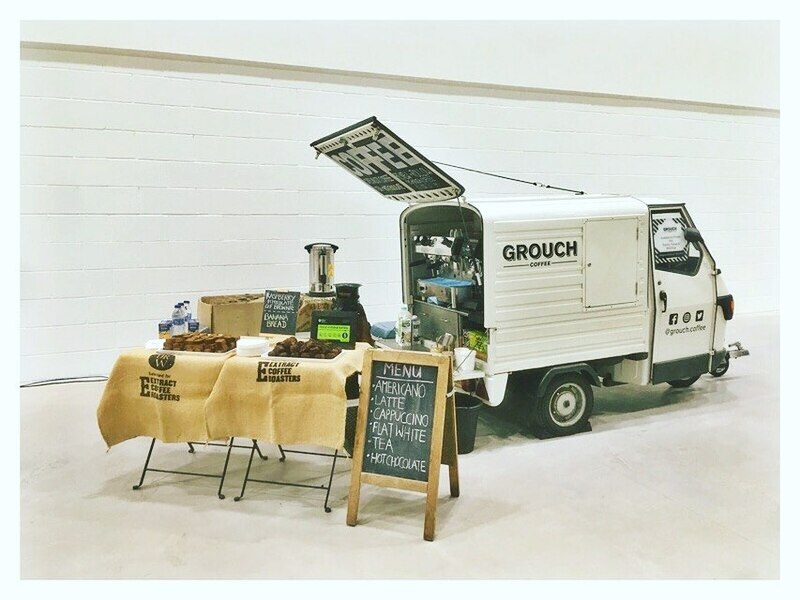 Would highly recommend Grouch Coffee for any event :) we will definitely be using again in the future!! Kelly and her coffee were amazing! 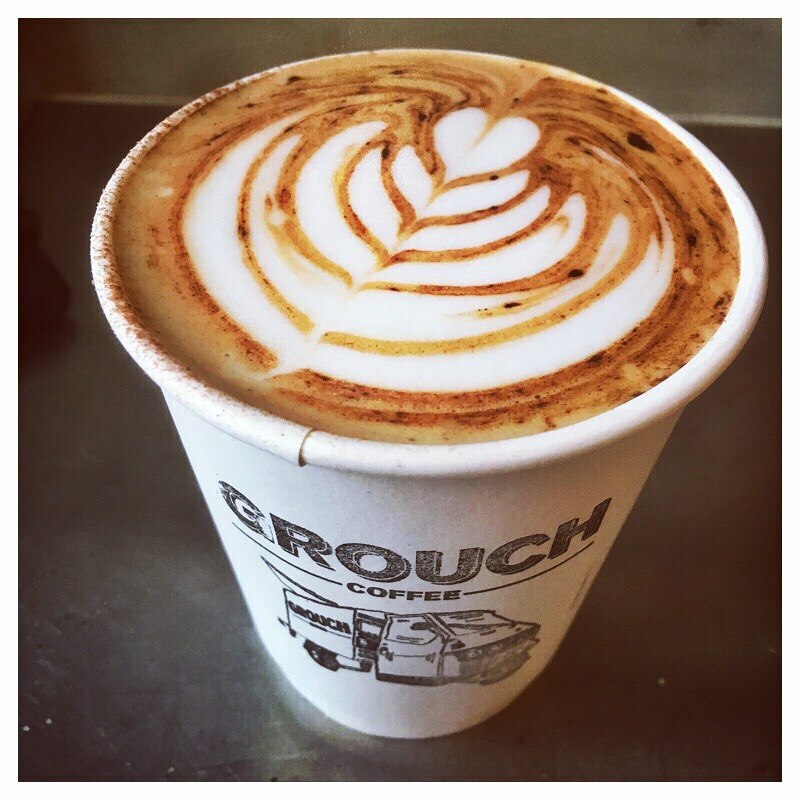 Having Grouch Coffee at our event added to the success if the day! I couldn’t recommend Kelly highly enough! Kelly is really professional and friendly. 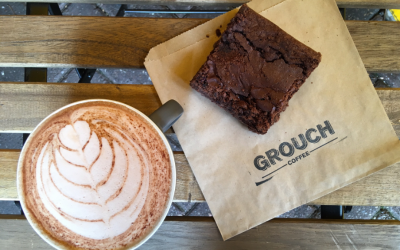 The Grouch Coffee image was a great fit to our Charity Neon Dash and the quality of coffee and brownies was excellent. She set up and packed up with no fuss. 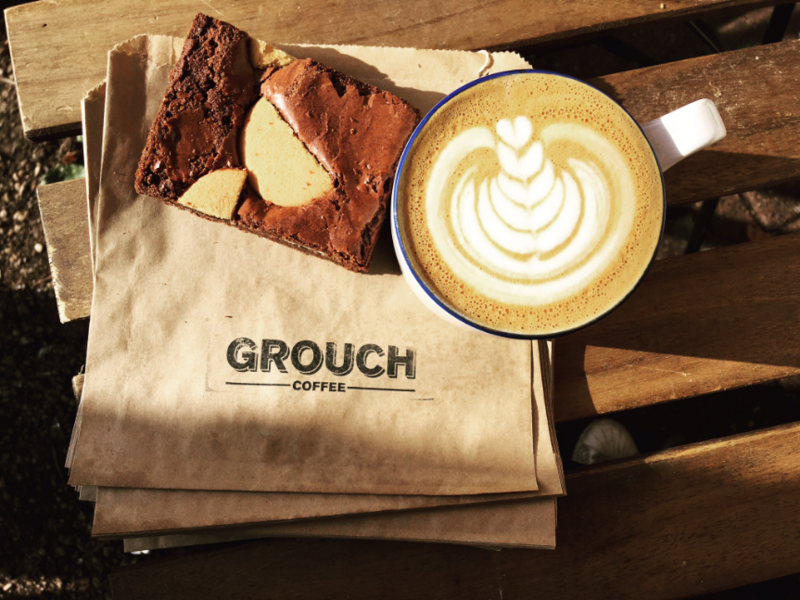 Just a note to say a massive "thank you" to Grouch Coffee for coming to our event and supporting us. It was a pleasure to deal with you. We may well do 2019 - if you'd be interested? Always difficult when it's a first-time event - we'd do things a little differently next time, but on the whole thank you for helping us to raise £10K for our chosen charities! 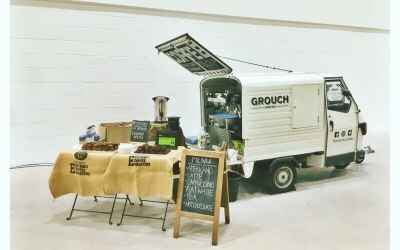 We booked Grouch coffee to cater at a private 60th Birthday party and the service received from the point of booking right up until the end of the event was 1st class. Kelly answered any questioned I had very quickly and professionally and the feedback we received from our guests about the coffee and cakes provided was all very complimentary. 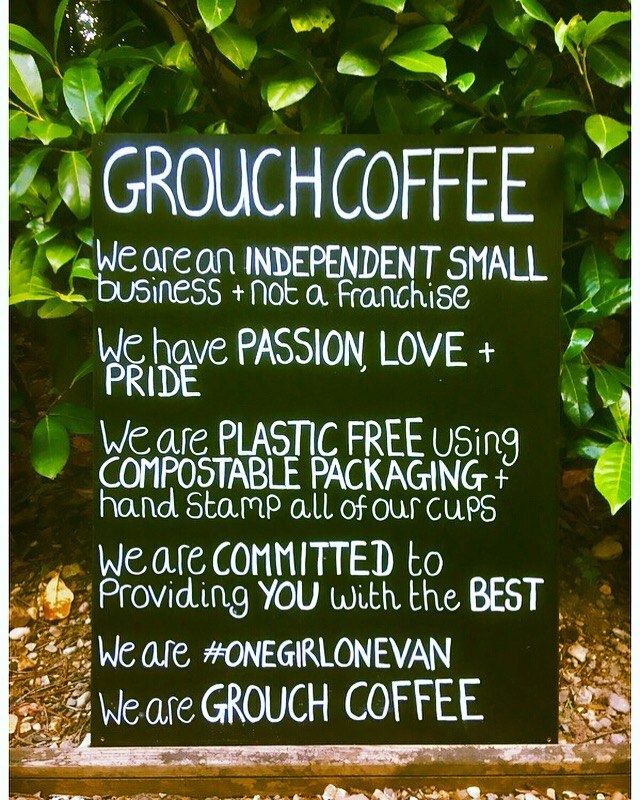 I wouldn't hesitant to book Grouch coffee for a future event. 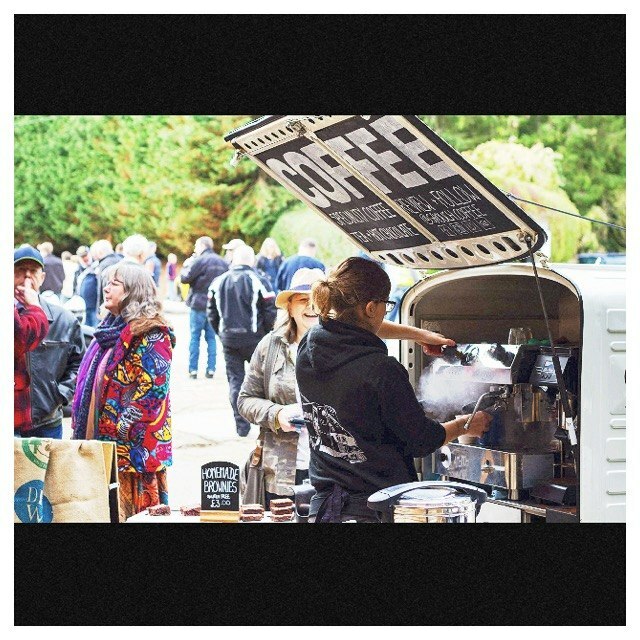 Most wonderful quirky little coffee van, perfect for a fete, Festival, or event. Kelly is a delightful, bubbly personality who brings it all to life! Great communication by email, her enthusiasm is to die for with her delicious coffee, brownies etc etc there was a long queue for her! We would definitely book her again and I know other people were taking her business card to book her too for the future! Highly recommend!! 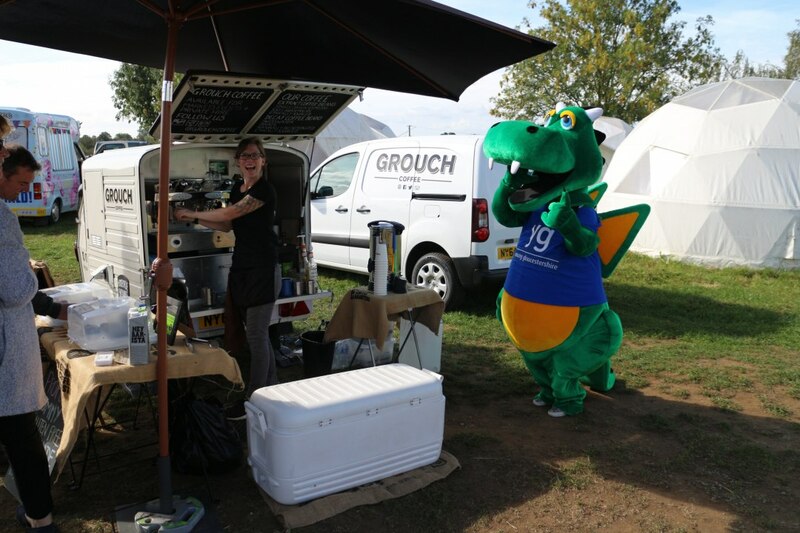 Grouch Coffee were great at our event. Thank you! 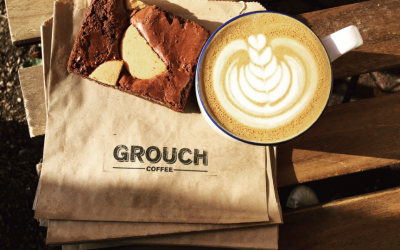 Grouch coffee came along to support our fundraising event, supplying coffee and cake (at cost to the individual). They were punctual, great with the public and served fab coffee & Chocolate Brownies too. If there was a queue it went down quickly and everyone was served efficiently too. 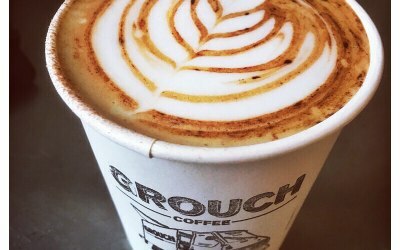 Get quotes from Grouch Coffee and others within hours.